Stylish exterior. Well-equipped as standard. Impressive warranty. Disappointing interior. Poor refinement from 2.0 diesel engine. Steering is vague and lacks weight. 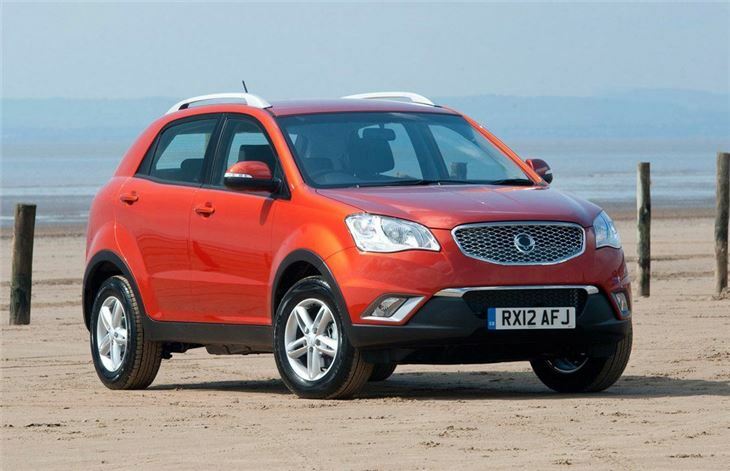 The SsangYong Korando is a compact SUV, similar in size to the Hyundai ix35 and Kia Sportage. 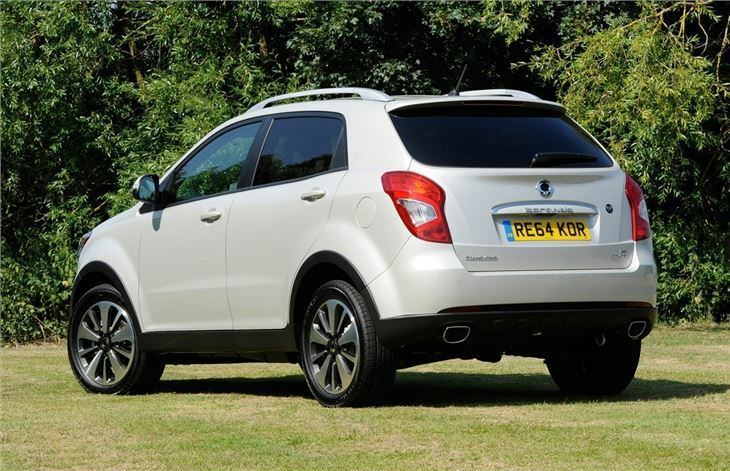 Spacious and practical, it marks an improvement over previous SsangYong efforts, thanks to generous kit levels and a five-year unlimited mileage warranty. 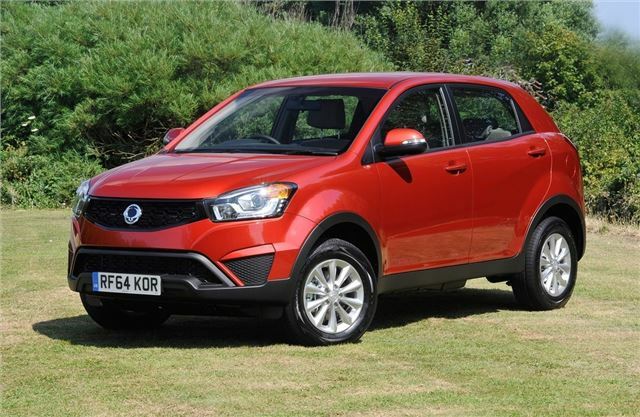 However, while it's decent value, the Korando's appeal is muted by an uninspiring drive and disappointing interior. A facelift in 2013 brought some much needed improvements while late 2015 saw the introduction of a new 2.2-litre diesel. This replaced the previous 2.0-litre engine with more power and better economy, while the optional six-speed automatic marks a significant upgrade over the old, slow and indecisive auto option. 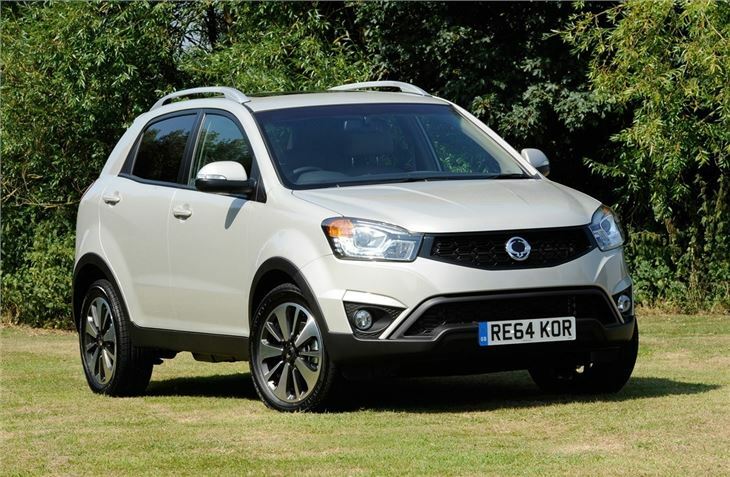 SsangYong expects the Korando to be popular with caravan owners – claiming it offers 'best in class' towing performance. It’s rated to pull a two-tonne braked trailer, and produces plenty of torque from fairly low down the rev-range, so towing over long distances should be easy. 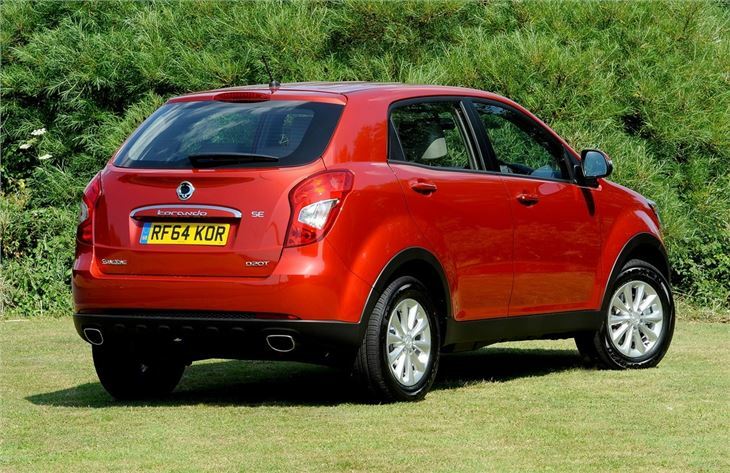 However, the Korando isn't particularly refined, with lots of road, engine and wind noise at all speeds. 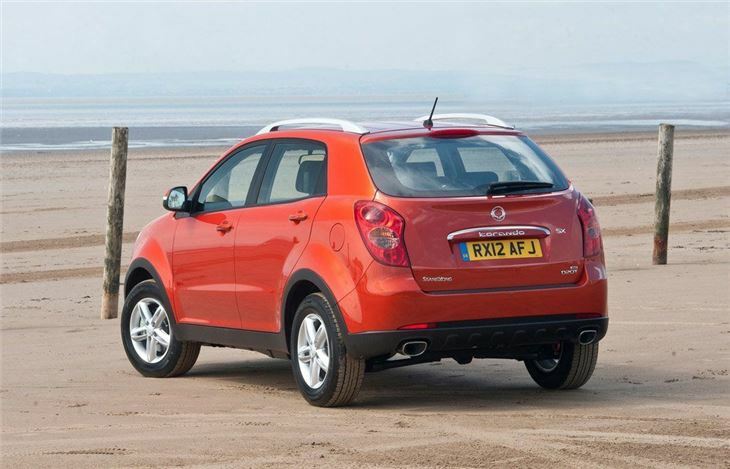 Base models (S and ES trim) are front wheel drive and the top spec EX model features on-demand four-wheel drive. All are well-equipped as standard, with air conditioning, electric windows, parking sensors and cruise control. However, while the equipment levels may be generous, the interior leaves a lot to be desired in terms of quality, with an abundance of cheap materials. The cabin also feels dated in style and layout, especially when compared to key rivals from Hyundai and Kia. It might be a little rough around the edges and lacking in refinement somewhat, but the Korando offers strong performance and plenty of standard equipment. That coupled with the impressive warranty and a very affordable price tag means it has appeal for high mileage drivers, along with caravan owners looking for a no-nonsense tow car. Brilliant AWD & a good tow-car too. Don't believe the UK reviews, fantastic car! Great value, ride, space, comfort, looks and equipment.